Westover Toyota on Wallisdown Road, Bournemouth, has helped the Forest Holme Hospice Charity secure a donation of £1,500 from the Toyota Fund For A Better Tomorrow scheme. Toyota’s Fund For A Better Tomorrow is a nationwide programme of grants that enable Toyota dealerships to apply for funding to support charities, schools and community projects in their local area. 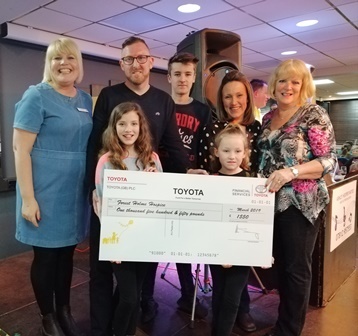 Westover Toyota put together a strong application in favour of supporting the Forest Holme Hospice Charity which is dedicated to enhancing the quality of life for patients with cancer and other life-limiting illnesses, as well as providing support and advice to carers, family and friends. The £1,500 donation awarded to the Forest Holme Hospice will support the charity with its life-enhancing work and will fund counselling sessions for local people following their diagnosis of cancer, as well as bereavement support sessions for families who are coming to terms with life without their loved ones. Launched in 2012, Toyota’s Fund For A Better Tomorrow is enabling UK dealers such as Westover Toyota to support worthy causes and more than over 200 projects have received support with in excess of £350,000 donated in the last three years alone. Established in 1923, the Westover Group operates from 28 locations across Dorset and Wiltshire and represents 15 vehicle manufacturers – Abarth, Alfa Romeo, Dacia, Fiat, Hyundai, Jaguar, Jeep, Kia, Land Rover, Lexus, Lotus, Nissan, Renault, Skoda and Toyota. Carol came to LLPR in 2002 from Dixons Group press office. 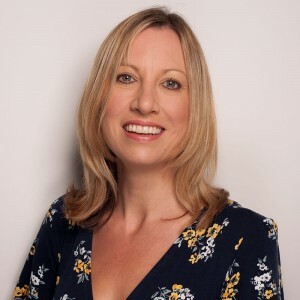 She has managed a portfolio of clients for LLPR, serving B2B and B2C across a range of sectors including hotel and catering, leisure, marine, motoring, hair and beauty, professional services, retail, not-for-profit, sports and tourism.